Many a times it happens that we by mistake click the restart or the shutdown button and then think if we could somehow stop the Shutdown process but all in vain. Now we have a small trick that can save all your unsaved work and all your opened applications by stopping the shutdown process with just a click of a button. NOTE This trick would be known to most of the tech-savvy people out there. But surely it will be new for many of you. There are many times when in the middle of your work, the Windows pops up a message asking you to restart your PC and you accidentally click the “Restart Now” option. You are left with no route to get back all those opened programs and all those unsaved changed in the documents you were working on. At those times this trick will come very useful. Right click on the empty space on your screen, hover over “New” and select “Shortcut”. In the location field copy the location given below. Click the “Next” button, give it any name and then click “Finish”. Optional: You can change the icon of the shortcut by right clicking on the shortcut, selecting “Properties”, clicking on “Change Icon” and choosing the icon which suits you. 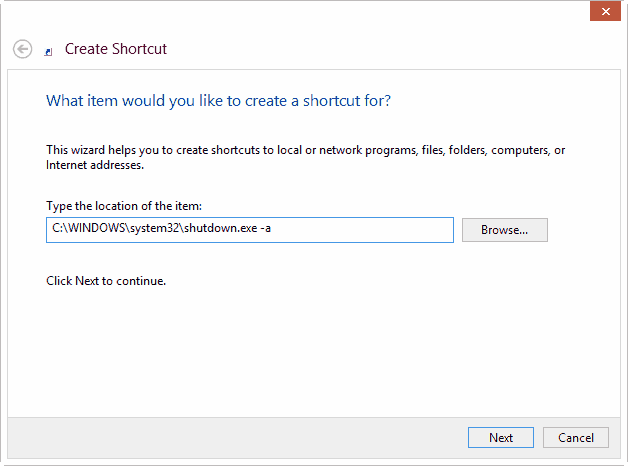 Now on the screen is a shortcut which stops your system from shutting down whenever it runs. 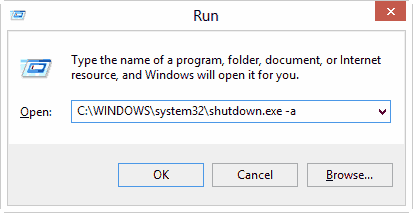 The “-a” is the switch that tells Windows to stop the shutdown process. But you need to act fast to really stop the shutdown. You can alternatively press the key combination Windows Key + R, and type the same location in the “Run dialog box” and hit Enter. 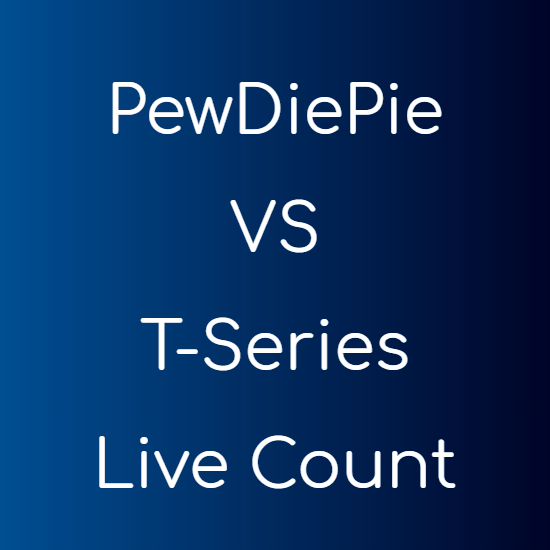 This is a long process and you won’t get enough time to do this. So making a shortcut is the best way to stop unexpected shutdowns. 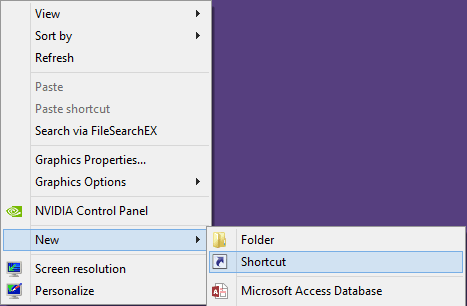 TIP You can pin the shortcut to the Taskbar to have easy access to it. There are many occasions when you will want to stop the shutdown of your PC but you won’t have a way. This is the fastest and the easiest method that can save you, may be many hours of work.